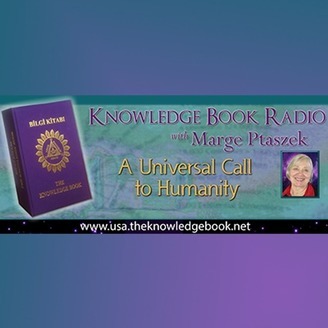 Tune-in Every 3rd 4th Tuesday at 1pm pt/ 4pm et Knowledge Book Radio with Marge Ptaszek We are in a Preparation Period for, and in Transition to, the Golden Age COME ndash COME - COME to learn about a cosmic technology, unknown to science, that enables Humanity to reach their inner powers in an accelerated way with minimum discomfort: the Light ndash Photon - Cyclone Technology of the KNOWLEDGE BOOK. Since our inception and throughout our billion-century evolution history, Humanity has been guided towards Consciousness, Awareness, Consciousness of a Single God, and now, Universal Consciousness, Unity, and Knowledge of the Truth. At each stage of our development, we have been gifted with Knowledge and guidance in line with our level of evolution, comprehension, and understanding. Although we are Incarnated completely ready to fulfill our Covenant, we live in the Dimension of Veiled Consciousness where the Covenant we had made with the Divine is either forgotten or deeply buried in our subconscious. Our mission is to Awake, to fulfill our Covenant, and to realize our True Selves: and this is exactly why The Knowledge Book has been bestowed to Humanity. By following the path designed, we will be able to Unify and fly hand- in -hand as Genuine Humans, as Brothers and Sisters that embrace ALL in Love, Peace, and Harmony, thereby to easily enter the Golden Age and to continue onto the Path of Light. "We mail, free of charge, three chapters from the Knowledge Book for people to experience the Light-Photon-Cyclone Technique. 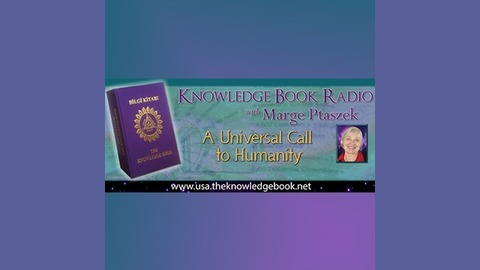 Please email your postal address to mmjp99gmail.com and we'll mail the chapters out as quickly as possible" About Marge Marge Ptaszek was a life-long seeker for Truth and her purpose on this Planet. Through many twists and turns, she encountered a Book that gave those answers: The Knowledge Book. She is now sharing this Gift so that all Humanity can be Unified in Peace and Brotherhood.